For the last three years, Richard Mosse has photographed in eastern Democratic Republic of Congo, infiltrating armed rebel groups in a war zone plagued by frequent ambushes, massacres and systematic sexual violence. 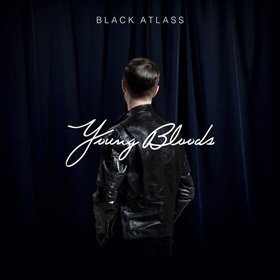 His most recent project is The Enclave, a multimedia collaboration with cinematographer Trevor Tweeten and electronic music composer Ben Frost. The Enclave was shot entirely using a discontinued 16mm surveillance film that registers an invisible spectrum of infrared light. Originally used by the U.S. military in the 1940s for camouflage detection, it renders the most lurid jungle war zone in a pink palette that is both gorgeous and surreal. Trevor Tweeten (cinematographer) shooting Arriflex 16mm camera mounted on Steadicam in South Masisi, Nov 2012. “Beauty is . . . one of the mainlines to make people feel something. It’s the sharpest tool in the box . . . if you’re able to make it beautiful, then they’ll sit up and listen. How fitting to use a tool for rendering the invisible visible to shed light on a conflict and region that has remained largely unseen in the global consciousness…a notion that was not lost on Mosse. The Enclave will debut as a major multimedia installation at the 55th International Art Exhibition — La Biennale di Venezia. 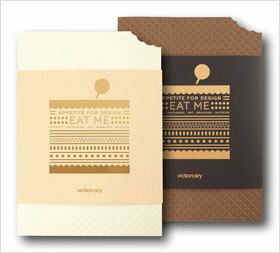 A companion publication will also be released in the near future by Aperture. 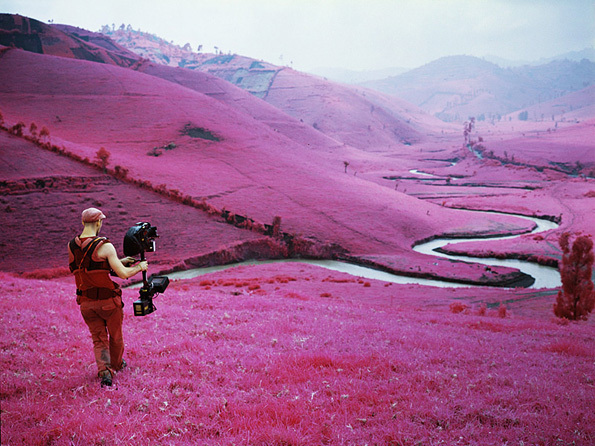 Learn more at Richard Mosse’s website. 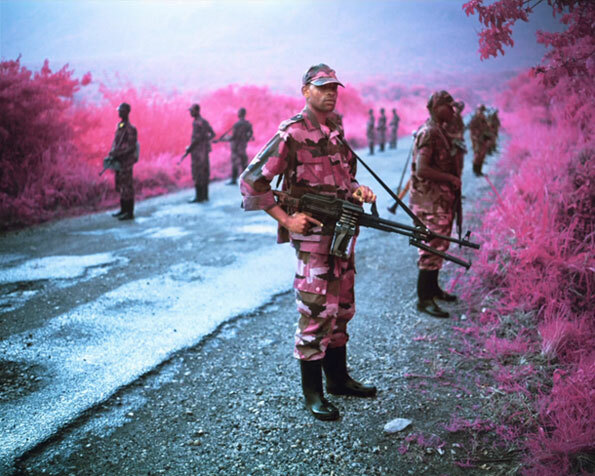 You can also view more of Richard Mosse’s photography in this related article.